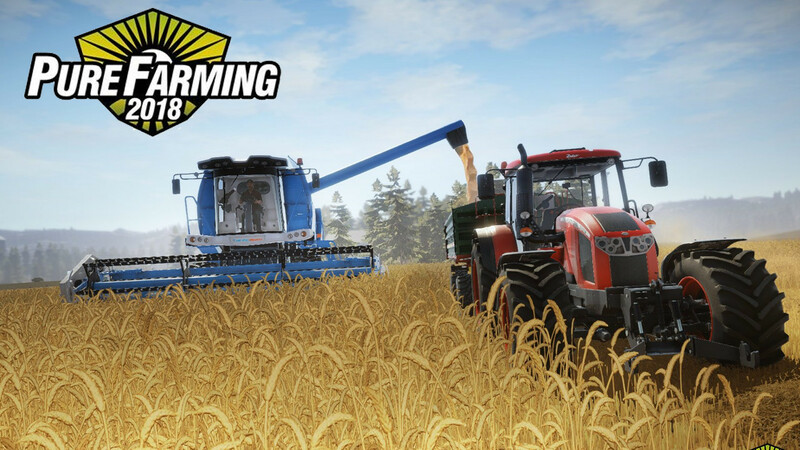 Techland has been showcasing the different brands included in their upcoming farming simulator, Pure Farming 2018. But no matter which farming equipment you’ll be using, one thing’s for sure — you’ll need fuel. In Pure Farming 2018, you’ll have a fuel meter at the lower right corner of the HUD. As in the real world, you’ll want to fill the tank before you go out to your farm to tend to your crops. To refuel, you can go to the gas station in the nearby town. In case you run out of gas in the middle of your fields, you can purchase some from your trusty tablet. Refueling this way will however cost you more. Gamers who have been waiting for a realistic farming simulator might be put off by the fact that you can purchase fuel instantly from the in-game tablet. It does make the game more arcade than sim. Other ways Ice Flames could have handled this was to include fuel tankers or fuel canisters, but others might see this feature a welcome convenience. Pure Farming 2018 will allow you to use “state-of-the-art licensed machines to manage all aspects of modern farming” in four countries — Japan, Italy, Colombia and the US. It’s bound for PC, Xbox One and PS4 on 13 March. Pre-ordering will give you access to the Germany Map DLC for free. Thanks for daily news about new games, tralers, teasers… This is my favorite place to look and get to know about them! Thanks!